Tiger ‘selfies’ and tiger interactions are common in tourist facilities across Asia. Worryingly these cruel acts can be also booked in various European countries. Research by FOUR PAWS revealed that tigers are being offered as photo props in multiple countries including Germany, Spain and Slovakia. In the UK it was even possible to rent tigers for private parties! 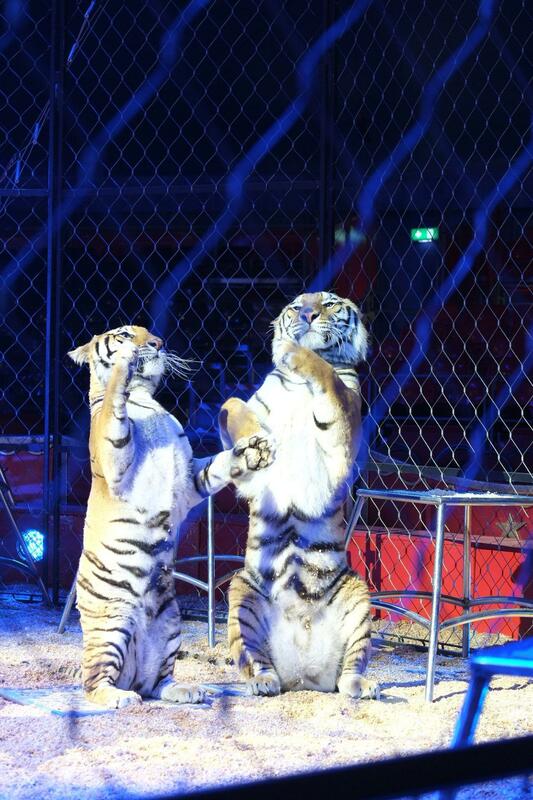 These tigers are victims of cruel commercial trade where they are hand raised and subjected to brutal training. 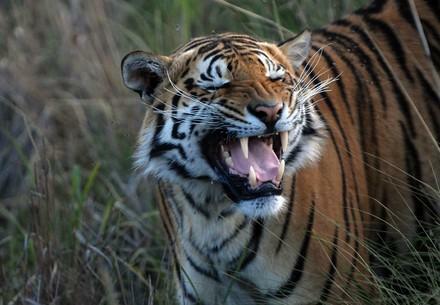 Today, there are more tigers living in captivity than in the wild. 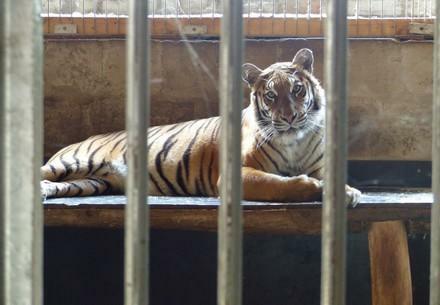 Legitimate zoos that breed and keep tigers do so as part of regulated conservation breeding programs. 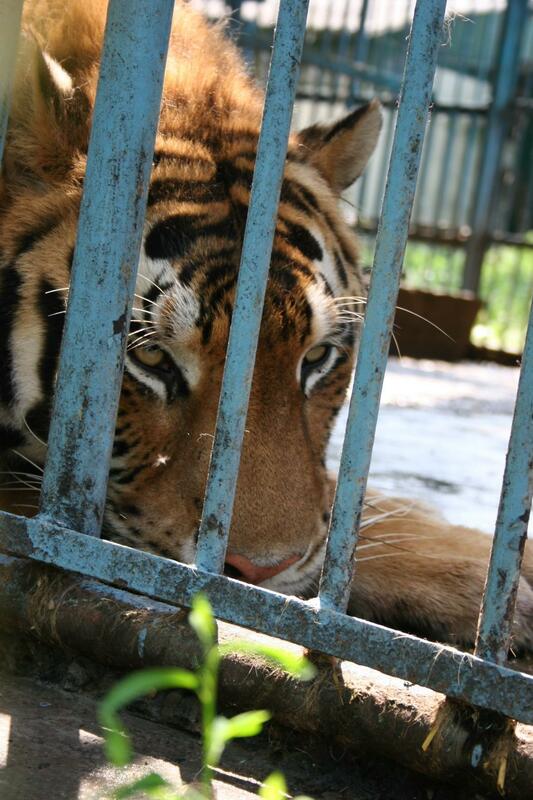 Sadly, this is not always the case and there are many zoos which breed and trade tigers for commercial benefits. In many European countries it is even allowed to keep tigers as pets. Often the animals suffer a depressing life behind bars in small enclosures without adequate care. In the wild tigers do not jump through fire or walk on two legs. These sorts of "stunts" are always the result of questionable methods of abusive training. 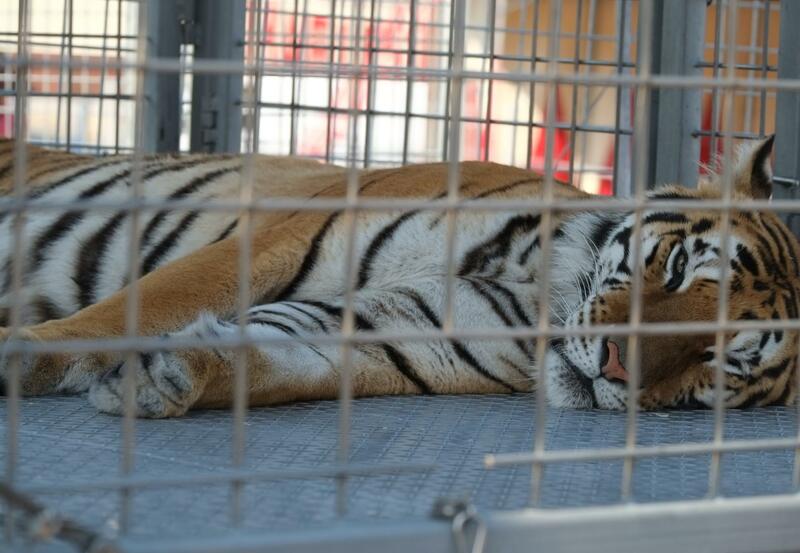 Circus tigers are constantly moved from location to location and spend most of their time locked up in tiny cages. 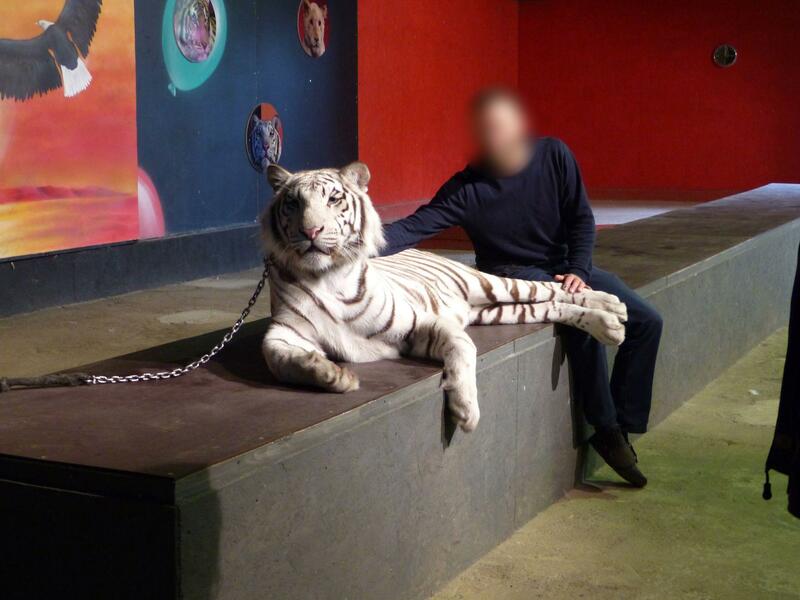 While some EU member states have already banned wild animals in circuses, others - such as France, Germany and Spain - still support this cruelty.